Could automatically identify chip ID number and read out the data of different chips. Support 11, 13, 33, 53, 73, 93, and 4C keys. Can read out key data and directly write it to the corresponding file in the Engine Control Module; start the engine directly, no adaptation is needed. Support on such Auto key adapting of CAN system, such as M6, Ford and SRX. With the function of saving all the data of the chips, so when you need, you can get the chip data from it. 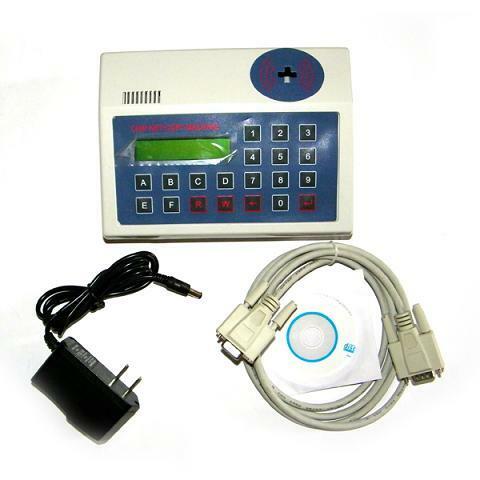 It is the special device composing of all the function of reading, writing and copying Auto chips. With Chinese & English using manual. Could automatically identify chip ID number and read out the data of different chips. With Chinese & English using manual.